Dentures are a dental appliance that are used to replace missing teeth and their surrounding tissues. There are two main kinds of dentures available including complete and partial. When a patient’s natural teeth are missing and decayed complete dentures are most often used. There are two types of complete dentures used by dentists. Conventional dentures are used when the person’s teeth have been completely removed and the gum tissues are fully healed. Conventional dentures can be inserted approximately 10 weeks after the natural teeth have been successfully removed. Immediate dentures are created before the teeth are removed and can be positioned very quickly after healing. Immediate dentures do have a downside because they will require more adjustment to ensure that they fit properly. Immediate dentures are usually only used as a short-term solution. Partial dentures are used to fill in the missing gaps between the patient’s own natural teeth. Partial dentures usually consist of replacement teeth attached to a plastic base, which is connected by metal framework that holds the denture in place. They are used when one or more natural teeth remain viable in the lower or upper jaw. Partial dentures prevent other teeth from moving positions. The cost of dentures varies greatly depending on the scope of the work to be done. The dentist’s credentials and experience may also dictate the cost. If you have a prosthodontist you may have to pay more. Dentures are commonly covered partially or fully by dental insurance providers. It is important to contact your benefits provider to see the extent to which they will cover. 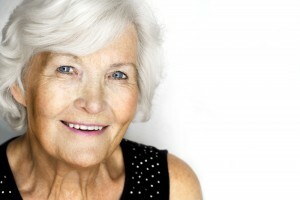 The denture development takes a few appointments and several weeks to plan. The dentist will determine what type of dentures are the best fit for you. The dentist will start by making a series of impressions of your jaw and bite. Models will be created in the exact shape and position of your mouth in order to create the denture. This model may be made of plastic or wax. You will have to try it in several times in order to make sure it fits properly before the final denture is cast. The final denture will then be cast. Once the final dentures are ready the dentist will call the patient in for a fitting. At this time necessary adjustments are made. New dentures can feel strange and loose, but once the mouth gets used to them these feelings will disappear. There may be minor irritation or soreness, but it usually subsides as you become used to wearing your dentures. Some people may wear a denture adhesive in order to enhance retention, stability and bite. The recovery time from dentures varies greatly. It depends on if you are having many teeth removed in order to get complete dentures, or if you are just getting partial implants. It generally takes eight to twelve weeks for your mouth to heal enough to wear your new dentures. The dentist will instruct you on how long to wear you dentures and when to remove them. The first several days after receiving your dentures you will be asked to wear them all the time. This will be quite uncomfortable, but is the best way to find out if the dentures require adjustments. Once the adjustments have been made, the dentures should be removed before going to bed. This allows the gum tissues to rest and a cleansing of the mouth. The only follow-up you will require is if you are having complications with your dentures. If you notice any dental infections developing or your dentures become damaged it is important to contact your dentist immediately. When you start to notice general wear on your dentures it is a good idea to schedule an appointment with your dentist to plan for a new set.